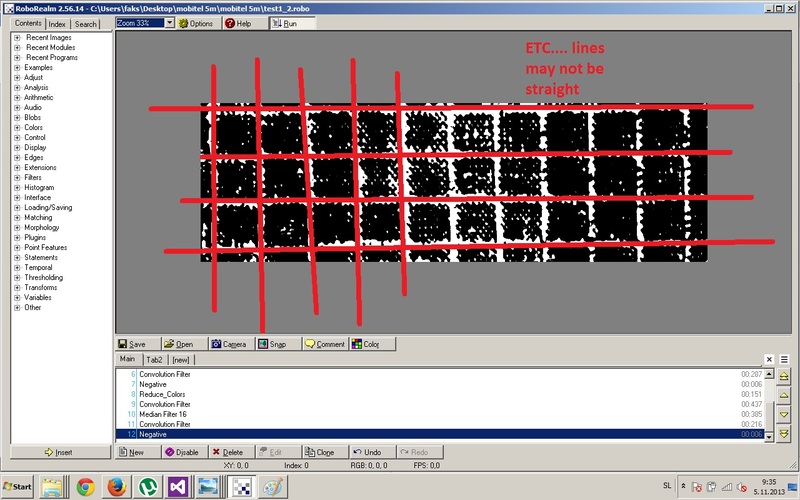 I need the program to draw me lines like in picture below ( the red lines). I wrote program to filter image, but not able to detect lines. I need lines to calculate traectory for those lines. Thanks for the images. Unfortunately, we can't come up with anything off the top of our heads to solve your problem. You may be able to use the Hough transform that looks for straight lines but your current results will not work very well with that module (it expects less noise to detect lines). Looks like something custom would have to be made to do this.